Standard UK Layout keys in three parts, contains high quality silicon and ABS material. Easily to clean and carry, extremely noiseless. Ergonomic designed, anti-static, strain-reducing, highly durable. Compatible with WIN95/ 98/ NT/ 2000/ ME/ XP/ VISTA/ Win7 & Win8, Win10. Key switch with tactile feedback, key knocks life time 10,000,000 cycles. Key caps: Type silk printing. 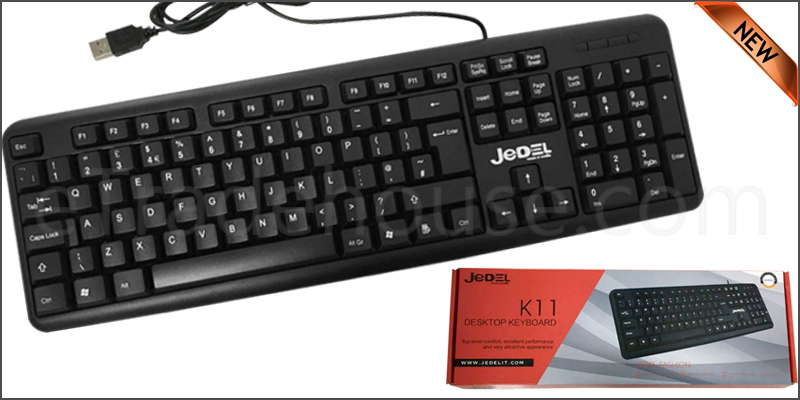 1x USB Wired UK Layout Slim Stylish QWERTY Keyboard.